Sledding opportunities abound when you visit Lake Tahoe. Visitors often risk life and limb by stopping along a busy highway when a slope of snow is spotted. This is so very unnecessary. There are a plethora of sledding opportunities available in Lake Tahoe. Plan a day of family fun that will not lead you to the emergency room. Let me help you find a safe place to play in the snow. Tahoe offers both free and fee friendly sledding options. Adventure Mountain at the top of Echo Summit offers groomed sledding runs, sled & tube rental, snow play, sledding and tubing, snowshoe trails and rentals, and dining in The Lodge with store, cafe, and rental center! This is the perfect place for those who want to show up and pay for someone else to do all the work. Bring $30 cash for each vehicle you choose to park. Once in the Park, you can use Visa for your other purchases. Sleds will run you $12 for the day, inner tubes are $30 for the day and helmets are $8 for the day. Please make your children wear a helmet and you should as well. You may purchase your equipment if you prefer. Snacks and meals are available for purchase or you may bring your food and “picnic” throughout the day. Adventure Mountain is located on Echo Summit at the top of Highway 50. 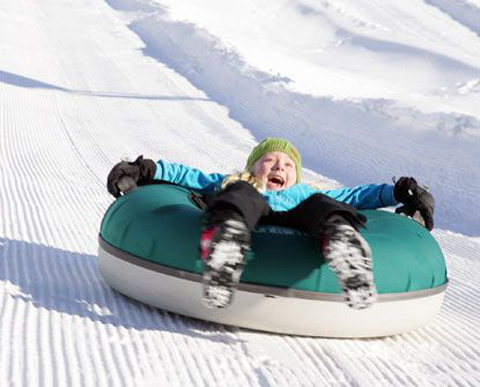 Boreal’s Playland is a children’s snow tubing park designed for the entire family. 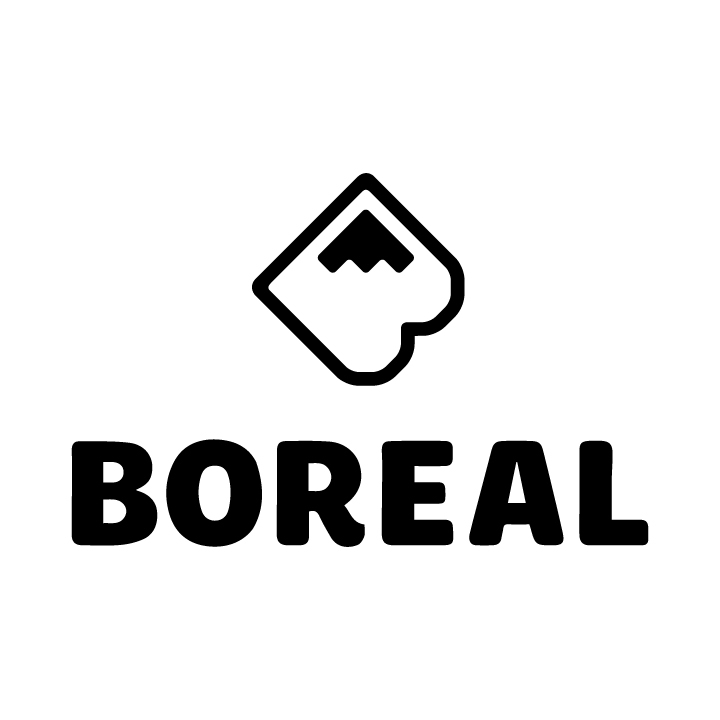 Playland offers groomed tubing lanes, moving carpet and quality tubes, with access to all the amenities of Boreal Mountain Resort. An all day pass for individuals 42 inches and taller will cost you $49. Located off Hwy. 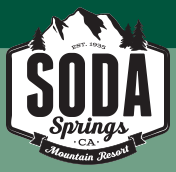 80 about a 35 minute drive from North Lake Tahoe you at 19749 Boreal Ridge Road, Soda Springs, California. Hansen’s Resort offers sledding and lodging right in the heart of South Lake Tahoe. 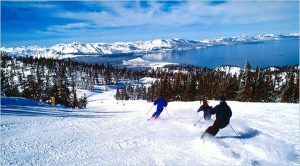 Located on Ski Run at the Base of Heavenly Ski Resort, Hansen’s Resort provides the old Tahoe feel and hospitality it is famous for. Sledding prices run about $20 an hour with discounts provided to those billeted at the resort. 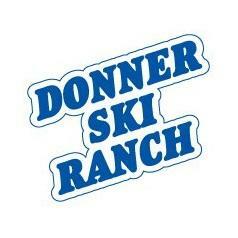 Hansen’s Resort is located at 1360 Ski Run Boulevard, just 11 block from Highway 50 in South Lake Tahoe, CA. Blizzard Mountain offers “two lift-accessible snow tubing lanes, an expanded snow play and sledding area that allows little (and big) ones to explore the winter outdoors at their own pace, and visits from Ralston the snow bear all make Blizzard Mountain one of the most entertaining spots to spend an afternoon at the mountain.” Two hours of tubing fun will cost you $30 per person. You will also have access to all the amenities that Sierra-at-Tahoe has to offer. Sierra-at-Tahoe is located a t 1111 Sierra at Tahoe Road, Twin Bridges, California on Highway 50 on the west side of Echo Summit. Heavenly Mountain Adventure Peak tubing runs are designed for the true daredevil in each of us. 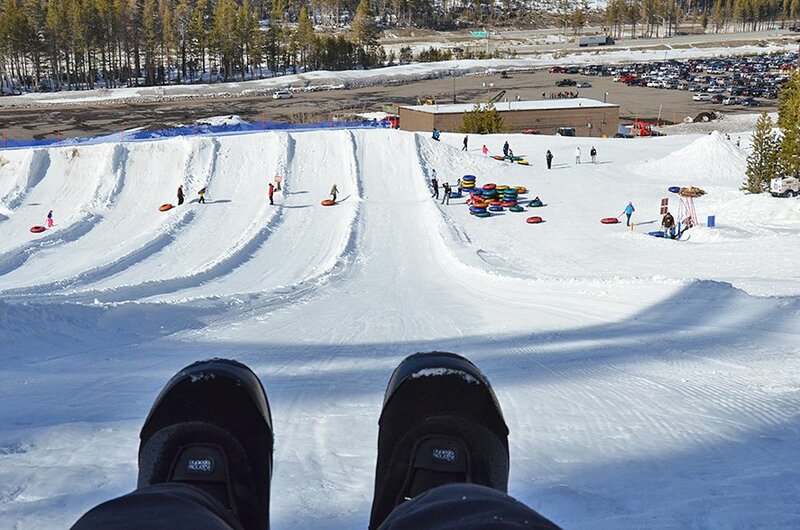 Named the “#1 Snow Tubing Hill” in the country by Fox News, this ride is for the serious outdoor adventurer. Four lanes, a 65 foot drop and open year round, you will not find a bigger adrenaline rush delivered by an inner tube hill. Kids must be 42 inches to ride. 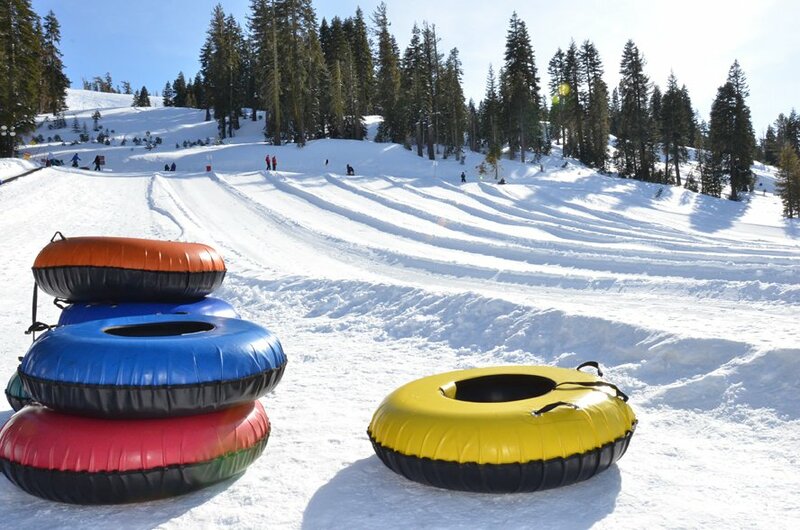 Tubing at Heavenly will cost you $30 an hour. 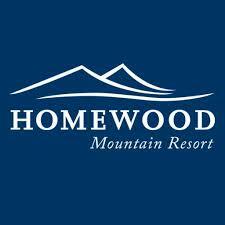 As if it couldn’t get any better, you will have access to all the amenities that Heavenly Ski Resort has to offer. Stay at the Marriott Hotel South Lake Tahoe for convenience and luxury. Heavenly Ski Resort is located on Highway 50 in South Lake Tahoe just south of the Nevada State line. North Tahoe Regional Park offers snow play and sledding for children and adults. A popular wintertime Park activity is the children’s sled hill at the park entrance. 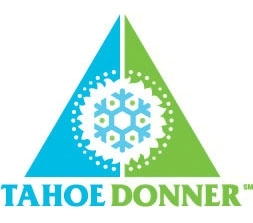 Through a partnership with North Tahoe Winter Adventures, you can ride the adult sledding hill or rent a snowmobile. A concession stand is also provided for your dining pleasure. Visit the park’s Facebook page for seasonal updates. North Tahoe Regional Park is located at 6600 Donner Road in Tahoe Vista, California. Sawmill Pond is a favorite spot for fishing in the summer and sledding in the winter. Slopes are gradual, perfect for the first time sledding experience and for young children. There is plenty of parking in the lot off of Sawmill Road, just past the pond. There are benches and picnic tables and a vault toilet restroom. Sawmill Pond is located 2.5 miles west of the “Y” intersection (Hwy 89, Hwy 50 and Lake Tahoe Blvd.) on the Corner of Sawmill Road and Lake Tahoe Blvd. Kahle Park is a great location to take children for the full park experience. Snow men are a popular theme at Kahle, where kids can enjoy the children’s playground, indoor climbing wall and jungle gym. Parents will appreciate the indoor bathroom facilities, full exercise gym and ¼ mile running track. Parking is safe, plentiful and free. There is a small fee to use the indoor playground and gym. All outdoor activities are free as well. To get there go out of California into Nevada on Highway 50 about one mile to Kahle Road. (There is a signal light at Kahle Road. If you get to Safeway, you have gone too far.) Take a right on Kahle Road until you land in the parking lot. Enjoy yourself! Spooner Summit Slide Park is a “side-of –the-road” sledding option that is safer than most. There is a small area at the junction of Highway 50 and Highway 28 to park your vehicle. If you are coming from Carson City this would be your closest free sledding park. This area is not great for younger children but offers some fun sledding opportunities for older children and adults. 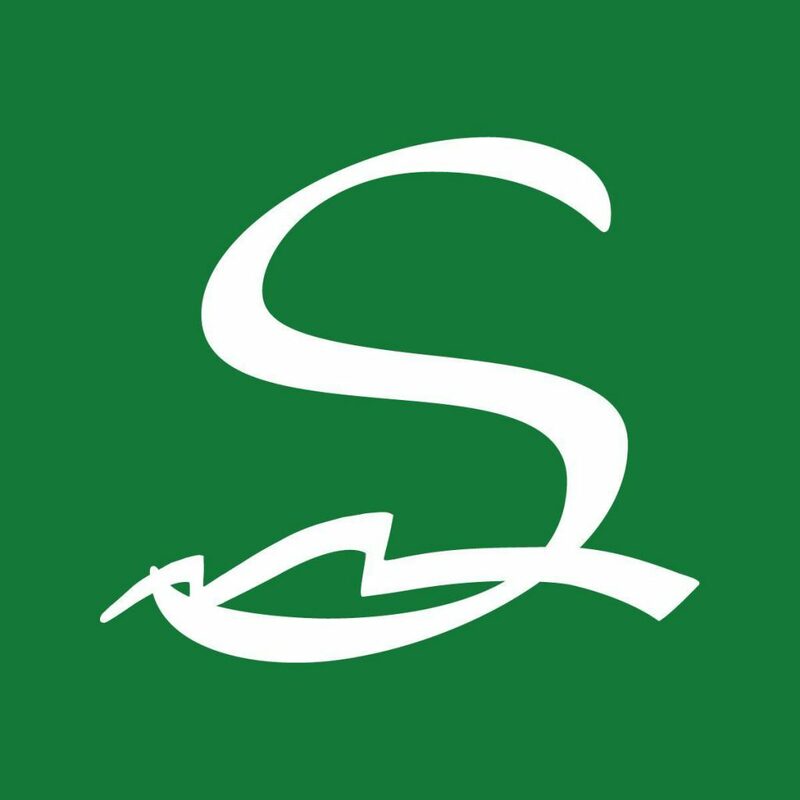 You can reach Spooner Summit Slide Park from the South Lake Tahoe by taking Hwy 50 north or from Incline Village by taking Highway 28 south. From Carson City, take Highway 50 west. The park is located at the corner of Highway 50 and Highway 28. Taylor Creek Sno-Park is a great choice for families with toddlers and younger first time snow enthusiasts. Taylor Creek is a forest service location with plenty of safe parking but several of sledding options. If you would like to try cross country skiing, snow shoeing or snow man building, Taylor Creek is your place. Taylor Creek loves dogs, so bring them along to romp in the snow. This location is usually very busy, so plan ahead and enjoy the crowds. Taylor creek is located on Highway 89 about 5 miles north of the “y” in South Lake Tahoe. Zephyr Cove Park is right off Highway 50 and open to the public free of charge. There is an enormous amount of safe parking. Children can create sled runs to their hearts content. Zephyr Cove Park is home of the local library, tennis courts, disc golf course, soccer and softball fields. There is a children’s playground and a large selection of picnic spots. Bring a picnic lunch and appreciate a snow day with the family. Feeling like a hot meal instead? Enjoy a cozy meal by the fire at the Zephyr Cove Lodge restaurant directly across the street from the park. Tahoe Rim Trail Kingsbury North Trailhead is an excellent place to take children and adults of all ages. Located at one of the entrances to US Forestry land, the space is wide open offering a multitude of sledding, tubing and riding options. Bring your thermos of hot chocolate, a couple of camping chairs and your digital camera to capture the photos of a lifetime. There are no amenities so you will need to bring all your own toys and snacks. This location is not frequented by many tourists, so enjoy the serenity. You will find this spot at the end of Andria Lane. Travel North on Highway 50 out of South Lake Tahoe into Nevada. Take a right on Kingsbury Grade/SR 207. About ¼ mile before you get to the summit, take a left on North Benjamin lane. North Benjamin becomes Andria after a couple blocks. You will be traveling through a neighborhood. Do not worry, you are going the right way. When you get to the end of Andria Lane you have arrived. Enjoy the forest and be sure to bring back with you everything that you brought in. Search www.OpenSnow.com when you make plans to visit Lake Tahoe. Locals trust Open Snow forecaster, Bryan Allegretto, for accurate and timely weather reports of the Lake Tahoe Basin and Truckee. Landscapes frosted in sparkling snow excites the imagination. 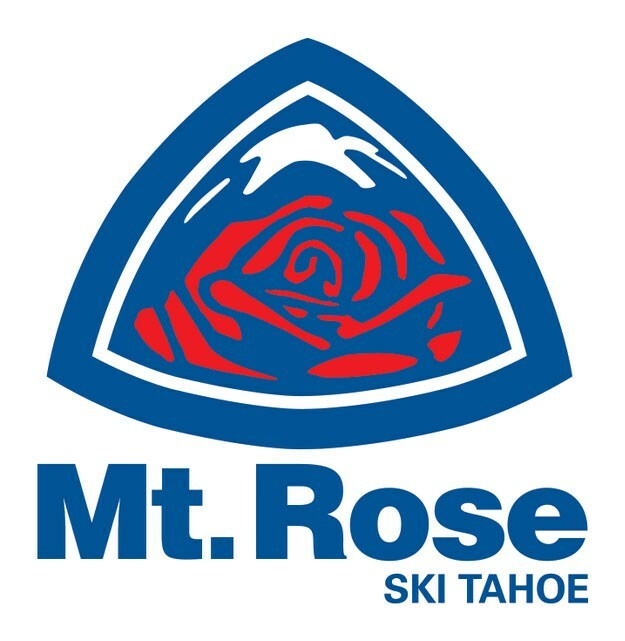 Piles of snow blanketing the mountains, draw skiers and snowboarders from around the world to the Sierra Nevada Mountains and scenic Lake Tahoe. Finding the perfect snow weekend takes a lot of planning and more than a little meteorological luck. Snow for recreation = fun. Snow for traveling = less than fun. So, do what the locals do, become a frequent visitor of Bryan Allegretto and his daily snow forecasts. His predictions are not just accurate, they are relevant to the specific region of the Lake Tahoe basin that you plan to visit. Find out when the biggest snow falls are coming and how much powder is expected.